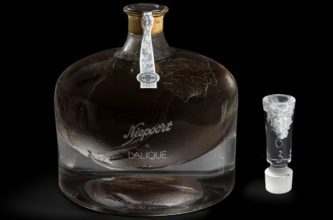 A newly released bottle of 156-year-old Niepoort in a Lalique crystal decanter has become the most expense Port sold at auction after fetching more than HK$1m, according to those involved in the sale. Hong Kong’s Grand Hyatt hotel was the venue for the new Port auction record, in a sale organised by Sotheby’s. A buyer paid HK$1.054m (US$134,000; £102,000) for the Niepoort in Lalique 1863. All proceeds will go to The Nature Conservancy charity. 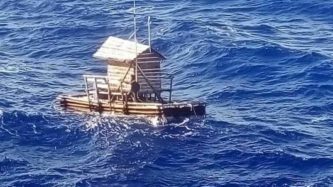 The previous world record was set in November last year for a bottle of the same Port, also in Lalique, after a buyer paid HK$992,000 at an Acker, Merrall & Condit auction. There are five Lalique demijohn decanters of the rare Niepoort 1863, each engraved with the name of one of the five generations of the van der Niepoort family, said Lalique following last weekend’s Sotheby’s auction. 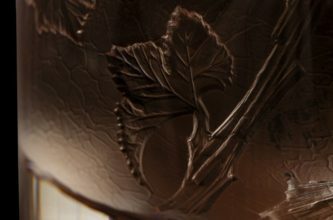 Detail on the decanter shows the signature Lalique grapevine pattern. Credit: Lalique. Two decanters have now been sold at auction, with the second a tribute to Eduard Karel Jacob van der Niepoort. There have been several auction records in recent months. A bottle of DRC Romanée-Conti 1945 set a new record for wine in general after selling for $558,000 at a Sotheby’s sale in October 2018. In November, Christie’s sold a bottle of The Macallan 1926 60 Year Old for £1.2m, breaking new ground for single malt Scotch whisky. As I mentioned last month it is with some regret that (having said it is not to be missed) I will miss it and the AGM next month. Never mind, I will have 30 days at sea to help me get over it. Naturally, I will not be able to put together the May Newsletter. Wayne will take care of this and will ensure that all the necessary documentation is forwarded to members as appropriate for the AGM. 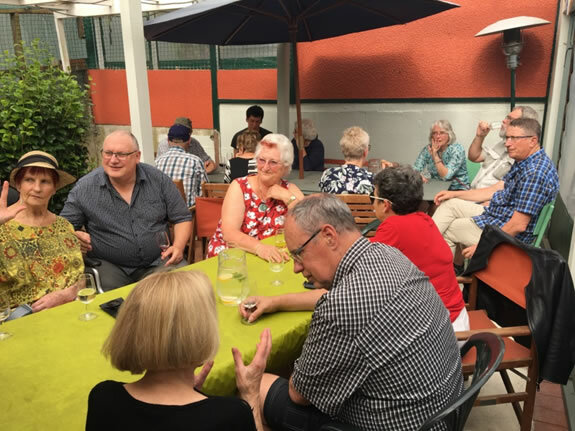 We would suggest you print off copies of the documentation and bring it with you as it can be difficult for committee members to provide sufficient copies on the night. The programme for the year to come might appear to lack substance but your committee is working on a number of initiatives and you can be assured that an enjoyable year of tastings and events is being planned and confirmed. Watch this space. 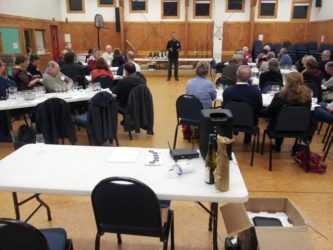 Industry body New Zealand Winegrowers has teamed up with podcast creator Lawrence Francis of Interpreting Wine in order to provide in-depth coverage of its annual tasting. The podcast series will take the form of seven episodes, featuring interviews with four winemakers and three regional masterclasses. The first episode will be unveiled today (18 February) with all seven due to be released by 24 February. The podcasts are available free of charge on major platforms including Spotify and iTunes. They will also be made available on the New Zealand Winegrowers website at a later date. New Zealand Winegrowers’ annual London tasting took place on 16 January this year. You can listen to the podcast series here. I have decided to move away from wine jokes this month. Editor’s privilege you understand. I came across an item on “lexophiles”, a play on words, and decided I would try a few. I’m reading a book about anti-gravity. It’s really good, I just can’t put it down. I stayed up all night to see where the sun went, then it dawned on me. I know a guy who’s addicted to drinking brake fluid, but he says he can stop anytime. Police were summoned to a day-care centre where a three year old was resisting a rest. Another great evening with nice wines and an informative presenter. John Loughlin was a pleasure to deal with and kept the meeting running to time. A good level of orders resulted. But that all our tastings were as easy to organize as this one was. John says he would be more than happy to come back and has some interesting wines that we haven’t yet tried. We will keep this in mind. 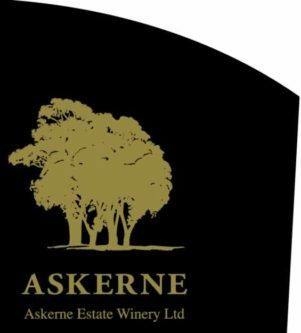 The wines tasted included; Askerne Sauv Blanc / Sauv Gris / Semillon 2018 as the quaffer; followed by; Askerne Reserve Chardonnay 2016; Askerne Viognier 2018; Askerne Gewürztraminer 2016; Askerne Syrah 2015; Askerne Merlot Cab Franc Cab Sauv Malbec 2015; Askerne 2016 Cabernet Franc; rounded off with the Askerne Dessert Cabernet 2018. A couple of your committee members have done some great work in sorting out tastings over the next two months. You will note that things have now been settled and we can look forward to two great evenings. Special thanks to Wayne and Murray for their efforts in putting these together. Just remains for us to enjoy them. Check out the events page. This newsletter is a little bit later in the month than we would like but we wanted to have as much information available as possible. My personal regret is that I will miss Joelle as we will be embarking on a 31-night cruise. Sometimes you just have to make sacrifices. I often say that a tasting is not to be missed but, to be fair, that applies to all of them. The ‘who’s who’ of the wine world descended on Marlborough for a three-day International Sauvignon Blanc Celebration kicking off on Monday 28 January. “We have over 100 international wine producers, experts and key influencers visiting, giving us an exceptional opportunity to shine the spotlight on our diverse Sauvignon Blanc offerings,” said Sauvignon 2019 Chair, Patrick Materman. The event boasted a world-class line-up of speakers who are experts in the fields of science, research, journalism and gastronomy. Internationally acclaimed wine writer Matt Kramer returned to New Zealand to explore Sauvignon Blanc’s place in the world of wine and speak on the future of Sauvignon Blanc. Nine Masters of Wine from all over the globe were among the speakers, including Debra Meiburg, founding Director of Meiburg Wine Media, and Sarah Heller, Asia Pacific’s youngest MW at 30 years of age, from Hong Kong. 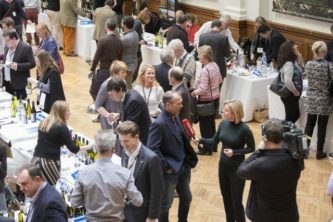 From the UK came Justin Howard-Sneyd, buyer and consultant for over 20 years with some of the UK’s leading distributors, and David Allen, originally from the UK and Director of WineSearcher. Dirceu Vianna Junior was the first South American male to obtain the title of Master of Wine and joined from Brazil, and Tim Hanni hailing from the US, where he is Managing Director of eCode.me and HanniCo LLC. Completing the exemplary line up were New Zealanders Emma Jenkins, Sam Harrop and Steve Smith. Over 350 guests were expected to attend the celebration, which took attendees on a journey exploring the complexity of Sauvignon Blanc, emerging styles, vineyard practices, winemaking influences and future trends. The International Sauvignon Blanc Celebration is built around three themes; Place, Purity and Pursuit. Day one was themed Place and drew on Tūrangawaewae, the geographical places we feel empowered and connected to. Day two, with the theme of Purity, explored topics such as climate, sustainability and flavour. Finally, Day three dealt with what we should pursue domestically and globally, outlining future challenges and opportunities for the New Zealand wine industry. The spectacular evening entertainment was also a highlight, with the sold-out gala event ‘Blanc’, a dinner-en-blanc theme, hosting 480 guests at Brancott Vineyard on the second evening of the 2019 celebration. 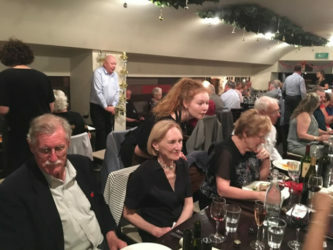 Celebrity chef Martin Bosley was the culinary director of the gourmet feast that was matched with older vintages from the cellars of our wineries. The International Sauvignon Blanc Celebration brought this diverse, expressive and sought-after variety to centre stage for three action-packed days in Marlborough. Far from being angry, the bartender was sympathetic. Before long, he was suggesting that the man see a psychoanalyst about his problem. 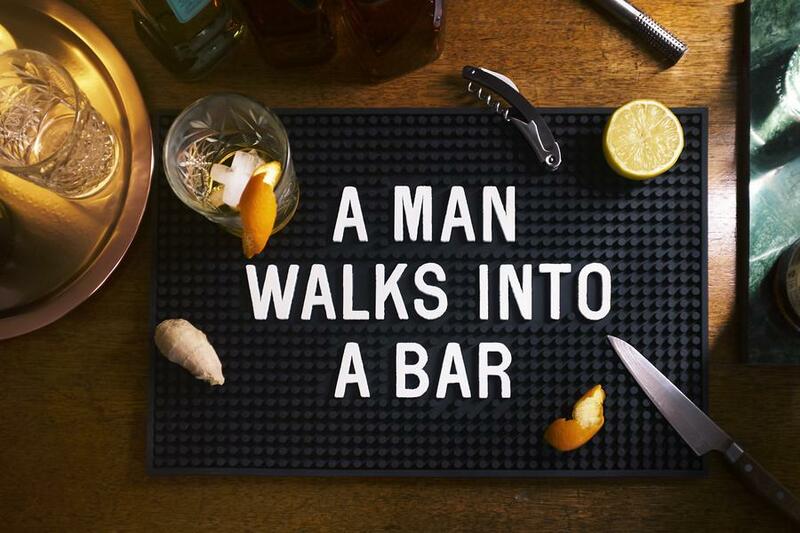 “I happen to have the name of a psychoanalyst,” the bartender said. “My brother and my wife have both been treated by him, and they say he’s as good as they come.” The man wrote down the name of the doctor, thanked the bartender, and left. The bartender smiled, knowing he’d done a good deed for a fellow human being. “But you just threw the wine in my face again!” the bartender exclaimed. “Yes” the man said. “But it doesn’t embarrass me anymore! We are negotiating with a very well known wine personality in NZ to present at this meeting. There are still a couple of matters to resolve and consequently, we will not make any announcement at this time. We have other options so you may be assured that whatever the result you will be treated to the usual high standard of tasting. 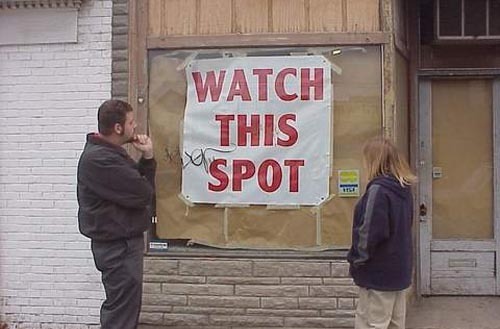 Watch this spot.